Caroline Gentry, Chair of Porter Wright's Class Actions Practice Group and Partner in the Firm's Litigation Department, was presented the Lloyd O'Hara Public Interest Law Award at the 2011 Access to Justice Awards Gala on November 10. The event was held at the Benjamin & Marian Schuster Performing Arts Center in Dayton, and was presented by Advocates for Basic Legal Equality, Inc. (ABLE), and Legal Aid of Western Ohio, Inc. (LAWO). "Caroline's unwavering dedication and commitment to residents in our communities is remarkable. We are proud of the work Caroline does on a daily basis and pleased she has been honored by such worthy organizations," said Robert W. "Buzz" Trafford, Porter Wright's Managing Partner. Serving the greater Miami Valley area, ABLE and LAWO provide legal assistance free of charge to help eligible low-income individuals and groups achieve independence, and receive equal justice and economic opportunity. Their Access to Justice Awards program helps to recognize extraordinary service to the public interest by leaders in the Miami Valley community. The Lloyd O'Hara Public Interest Law Award, presented to both Gentry and one other local attorney, recognizes those who have provided impactful counsel to minority, disabled or disadvantaged clients. Gentry volunteered her time to handle two significant federal cases affecting the homeless and the right to vote. She served as lead counsel in the pro bono case Northeast Ohio Coalition for the Homeless v. Blackwell (S.D.Ohio), which changed and clarified Ohio's voter-identification requirements for the November 2006 general election and Ohio's provisional ballot rules for the November 2008 general election. She is currently litigating the case of Traci Hunter v. Hamilton County Board of Elections (S.D. Ohio), which involves a dispute over whether to count "wrong precinct" provisional ballots cast in the 2010 election. 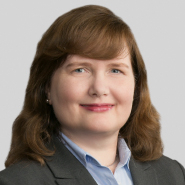 Gentry focuses her practice in the areas of employment, business and commercial litigation. She began her legal career with a two-year clerkship with Judge Walter Herbert Rice, U.S. District Court for the Southern District of Ohio. Although her primary practice is business litigation, she has represented disadvantaged individuals in several noteworthy pro bono contexts. She has been recognized by Ohio Super Lawyers® — Rising Stars Edition (2005 to 2009), and in 2011, Gentry was recognized by Ohio Super Lawyers® in the area of Business Litigation. Additionally, Gentry was honored with a "Forty Under 40" award by the Dayton Business Journal in 2008.